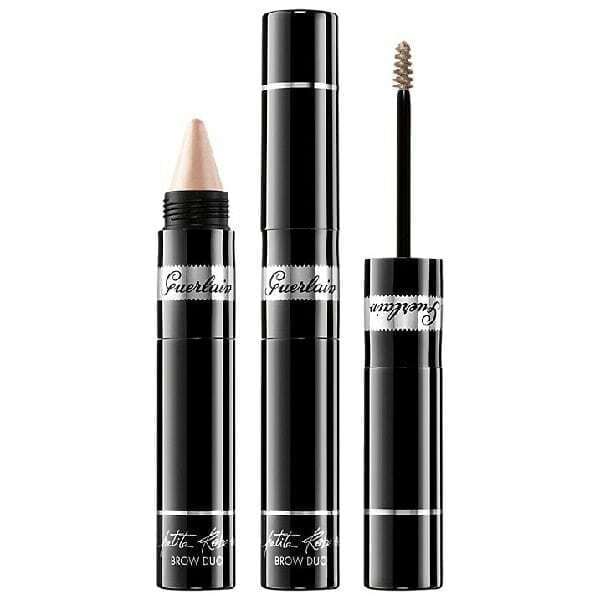 La Petite Robe Noire by Guerlain has created the first 2-in-1 brow mascara + highlighter: Brow Duo. This latest new addition is an ultra-practical product that can be carried wherever you go for perfect brows at all times. On one side, the brow mascara allows you to define, set in place and create visibly fuller brows. Incredibly easy to apply, transform your look in the blink of an eye with a few brush strokes! Its 8-hour long-hold gel formula withstands even the most eventful of days. On the other, a highlighter with a creamy formula creates bigger, brighter eyes.